Project Spark is literally a miniature, liquid-cooled gaming rig. What's smaller than a tissue box but still packs a liquid-cooled Core i7-8700K and and GeForce GTX 1080? 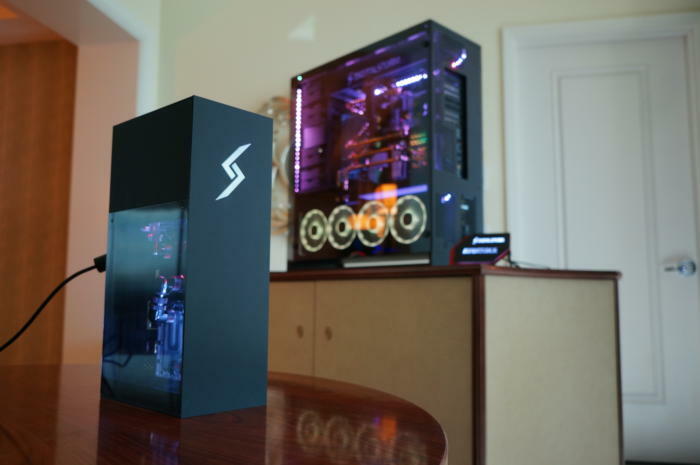 Digital Storm's Project Spark, a concept PC that's actually going to be built. It does what no other tiny gaming box has ever done before: It packs top-end performance into a 6 x 4 x 12-inch box. Digital Storm pulls it off by first starting with a custom-built enclosure. 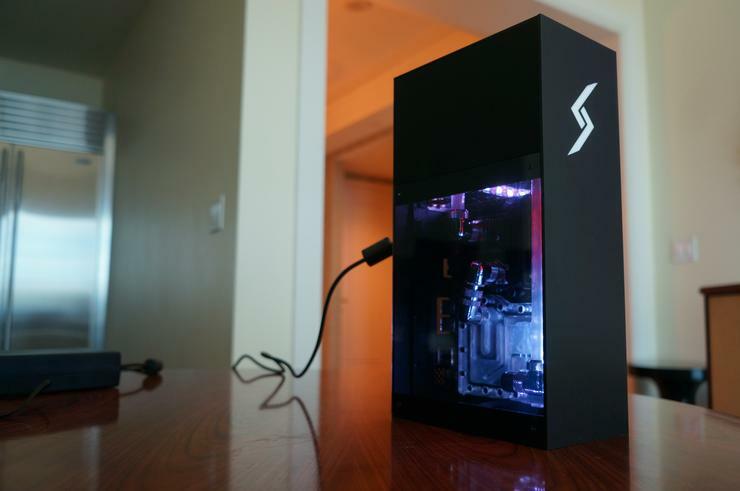 Unlike the typical small PCs that use the industry-standard Mini ITX, Project Spark uses the less popular MicroSTX form factor. Yup. 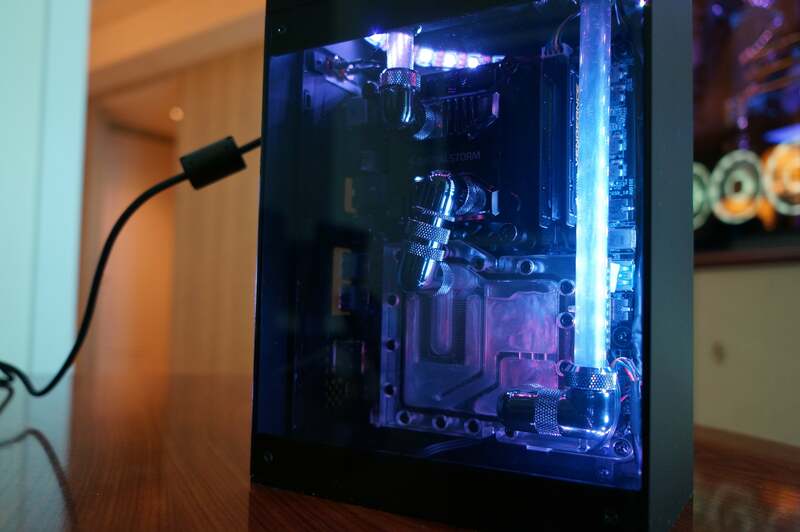 It's a tiny gaming rig with full custom liquid cooling. This isn't the first, of course, Silverstone has been pushing its Raven Z concept PC as well, but it's air-cooled and tops out at a GTX 1070. Project Spark can push hotter hardware thanks to a custom liquid-cooled setup that's typically only seen in giant gaming towers. Like Silverstone's Raven Z, Project Spark uses an MXM module that typically sees action in big, thick gaming laptops. That means Digital Storm will be able to offer everything from a GeForce GTX 1060 to a GTX 1080. For storage, Project Spark packs up to three M.2 SSDs and a 2.5-inch SATA drive. The chassis on the prototype box is plastic, but Digital Storm said it expects to craft it out of metal when it begins selling it, possibly by the middle of this year. The price? Dstorm said it will start at $1,300 with GeForce GTX 1060 graphics and obviously move up from there. 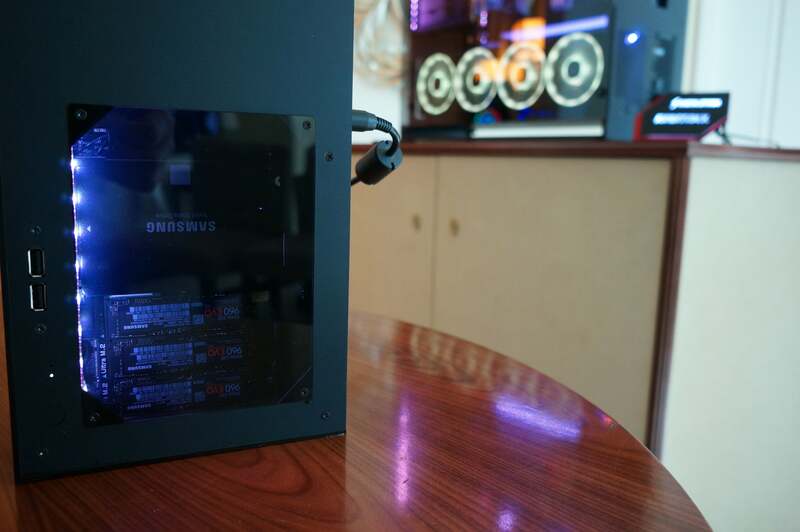 If it ships, it'll likely be the most powerful liquid-cooled gaming rig we've ever seen. The only other PC that's more powerful and smaller won't be available until April 1, 2018 (video here).